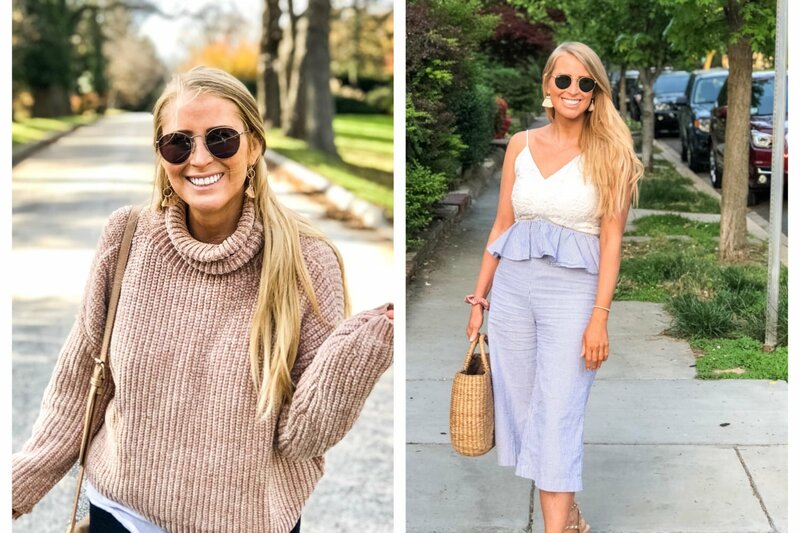 Kelly satchel, $435 at Milly. 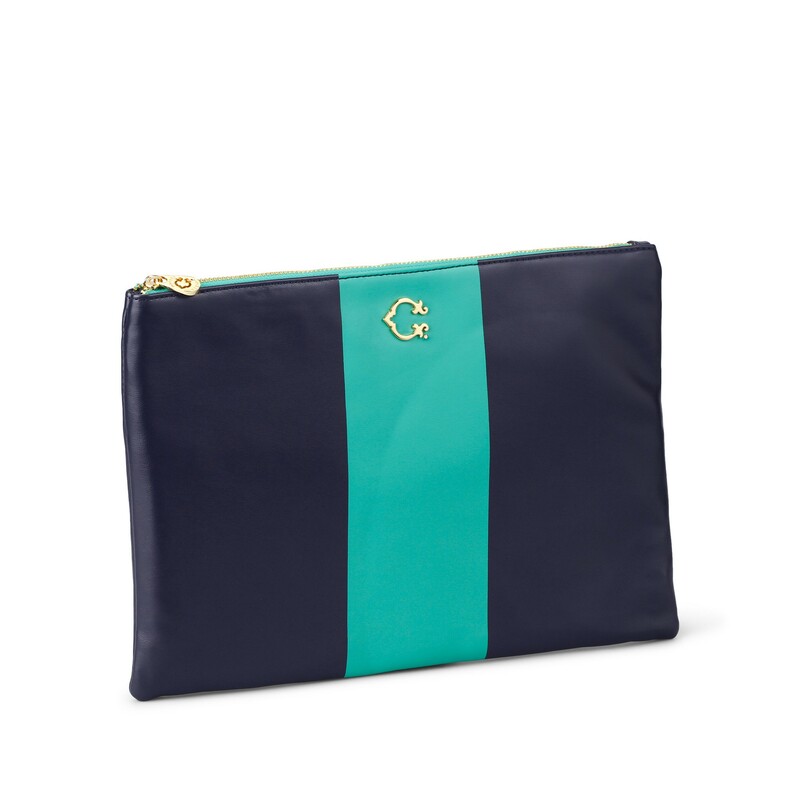 Clutch, $29.99 at C. Wonder. 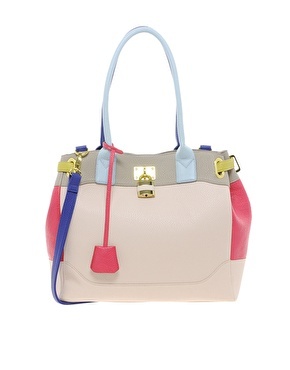 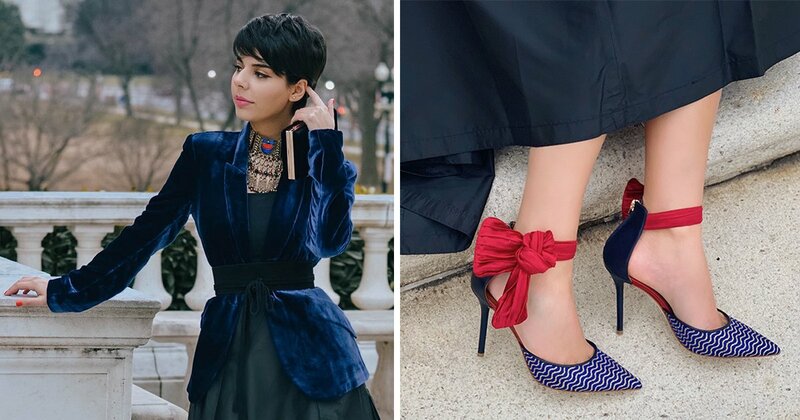 Remix and Match bag, $54.99 at ModCloth. 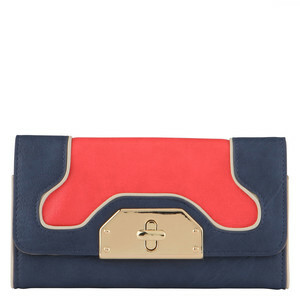 Paul’s Boutique Maisy suede patent bag, $108.06 at Asos. 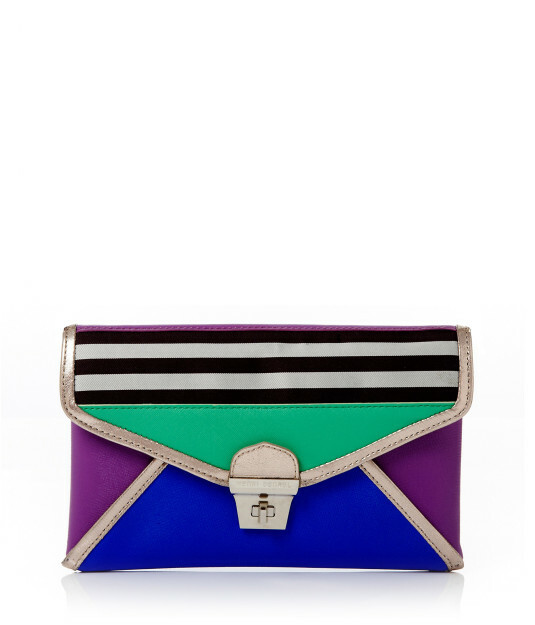 Brown & White Plus Deco Stripe clutch, $118.80 at Henri Bendel. 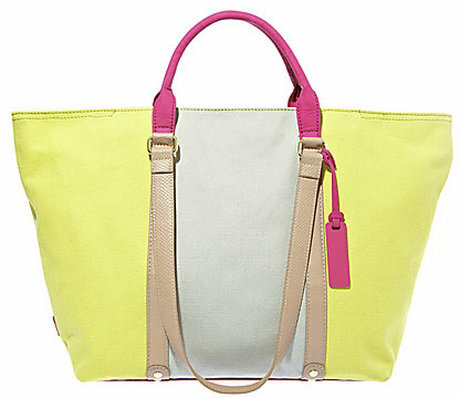 Melie Bianco Margaret tote, $95 at Kitson. 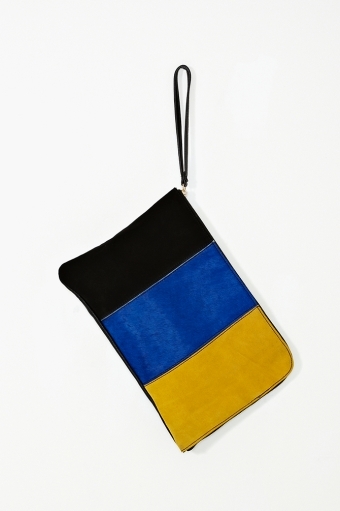 Fasulo wallet, $25 at Aldo. 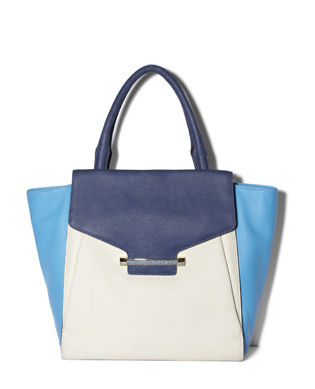 Julia tote, $298 at Vince Camuto. 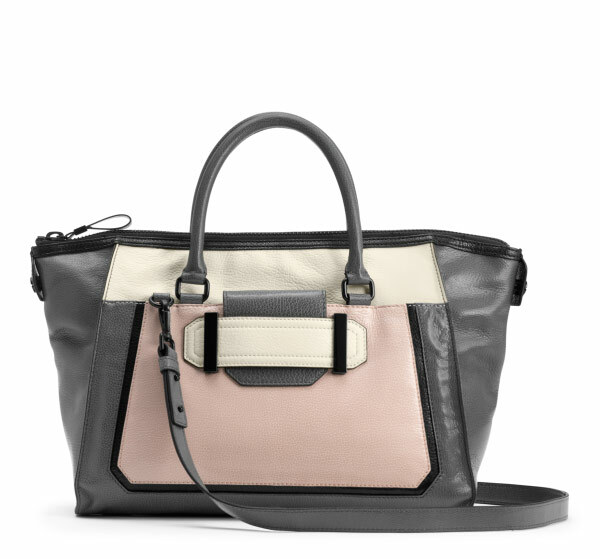 Predictable Shopper tote, $99 at Nine West. 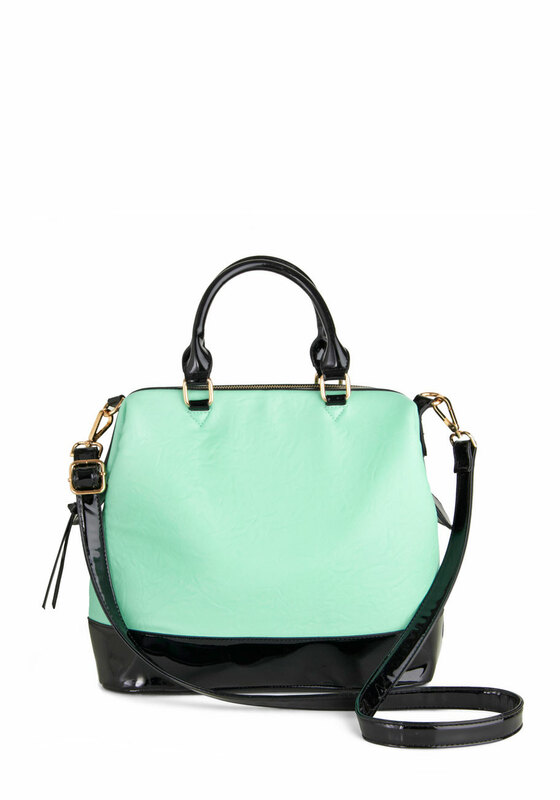 Bcaicos tote, $98 at Steve Madden. 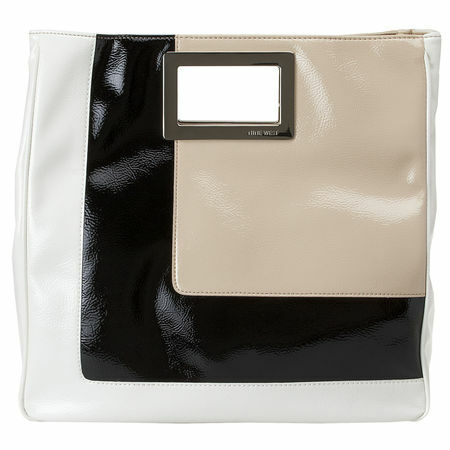 Parallels clutch, $65 at Nasty Gal. 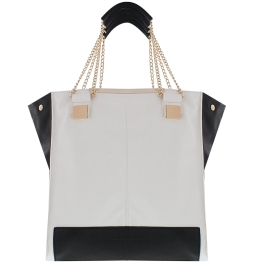 Side strap bag, $66.50 at Asos.